Those people who are coming to Canada now need to fulfil the Biometrics requirement. Now, this can result in delays. This is a cause of concern for those who want to come to Canada for business or have enrolled for an educational course or tourists. There is also one more concern, these details are shared with the other four partner countries. This aspect has raised security and privacy concerns. Here are some tips which can help in preventing the delays and completing the biometrics requirements on time. 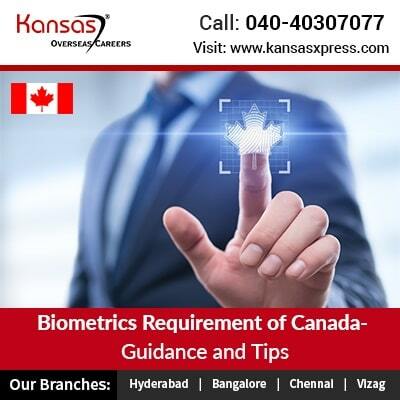 When you are making plans of migrate to Canada or travelling to this country take into consideration the time that you will need to submit the Biometrics requirement and then plan accordingly. When the applicant submits the application he will get the biometrics request in 24 hours. He will have 30 days to complete this request. The applicant must not waste time and must submit the application at the earliest. The applicant must not submit the application by mail as it can cause delays. For this it is better if the applicant goes in person to a visa application centre and submits the details or one can submit it online. Remember one thing that only after receiving the Biometrics requirement the IRCC will start the processing of your request. So it is of utmost importance that you find a way to make sure that the details reach the authorities as fast as possible. Many people will want to know where exactly these Biometrics requirement details get checked in Canada. The details are checked at the 8 major airports of the country. Primary inspection kiosk can be used for checking the fingerprints automatically. The checking is also done at smaller airports and land ports. The fingerprints can also be checked for secondary inspection. The fingerprint verification device is used by the border services officer for checking the fingerprints. Yes, there are! This includes Canadian citizens, existing Canada permanent residents are exempt. Also citizens of countries who do not need Visit Visa and hole valid electronic travel authorization, children below 14 years, senior citizens above 79 years, heads of States and governments, certain diplomats, US visa holders that are transiting to Canada etc are also exempt from biometrics. Why is this information being collected? Biometrics is one of the best ways to establish identity of a person. It has been used by more than 70 countries in their immigration programmes. It is one of the best ways to detect and prevent the entries of those people who are a potential threat to the country. These threats can be in the form of health risks, safety and security. For a better understanding of Biometrics requirement and immigration to Canada, you must consult Immigration Consultants for Canada. Only a good immigration consultant will be able to give you accurate details about immigration to Canada. They will be able to guide you about the procedure for submission of biometrics and completion of visa application.